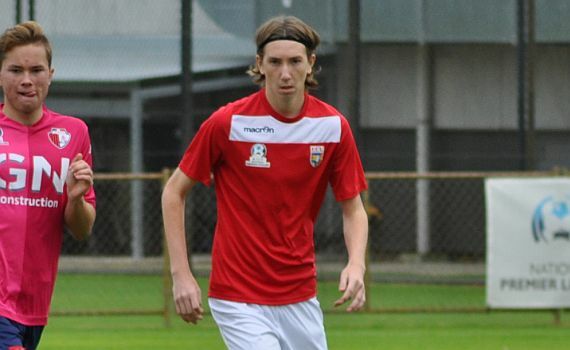 After missing the start of the season due to injury ECU Joondalup Under 18’s big defender Neil Gillies has been a rock at the back. ECU Coach Paul Welch said Gillies has been outstanding, especially now he is fully fit. “Neil missed the first couple of games through breaking a bone in his foot in pre-season. It is no coincidence that when he returned we managed to change our fortunes around and he also became our leading goalscorer scoring four weeks on the trot,” he said.